WorldComposer is an Unity3d tool to extract data from the real World. It can run by itself or as an extension for TerrainComposer. WorldComposer includes a shadow removal tool, that makes it unique compared to other software. There are always shadows on satellite images and if used in a game or simulation it forces a fixed sun position to match with the shadows. Also shadows in satellite images are almost completely black which doesn’t make them look good. WorldComposer solves this by removing shadows with it’s shadow removal algorithm, which will not only make the satellite images look way better, but also allows you to have fully day and night cycles. 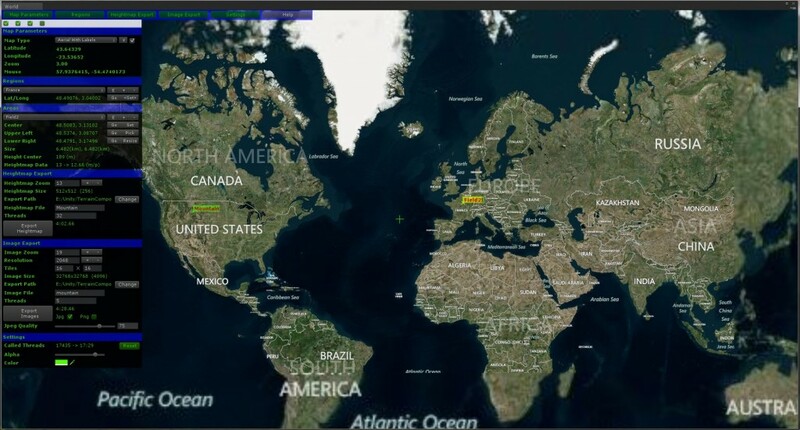 WorldComposer is designed like google maps with a scrolling and zooming functionality from real World satellite imagery directly into Unity. You can create multiple areas that display the real size in kilometers, and they can be exported with a few clicks of a button. Then for each exported area you can create the terrains with a click of one button directly in your Unity Scene. 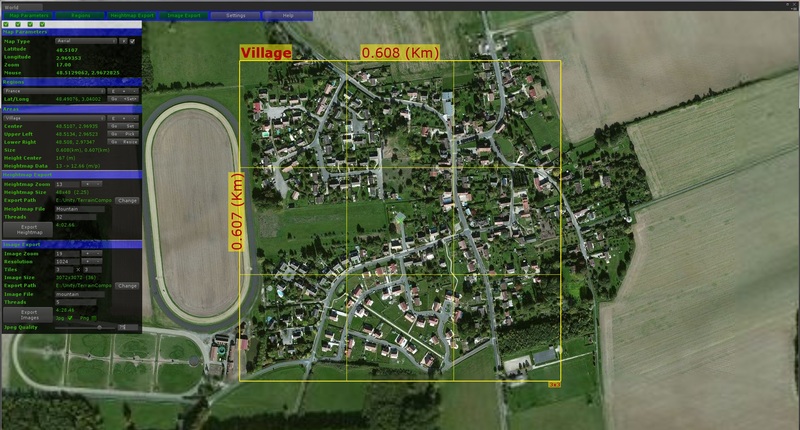 Satellite images can be exported to zoom level 19 which is 0.3 meter per pixel resolution. Elevation data can be exported up to zoom level 14, which is 10 meter per pixel resolution. WorldComposer only exports elevation heightmaps and satellite images, with itself you can create awesome looking real World terrain. But in combination with TerrainComposer you can mix the or alter the heightmaps or add perlin noise to enhance the detail, mix the satellite images with splat textures, add cloud shadows, etc. Also you can place trees,grass and objects and do the unlimited tweak and editing TerrainComposer offers to push the quality to unseen limits! The total video length is 14.39 minutes and really all you need to use WorldComposer and start creating Real World terrains! 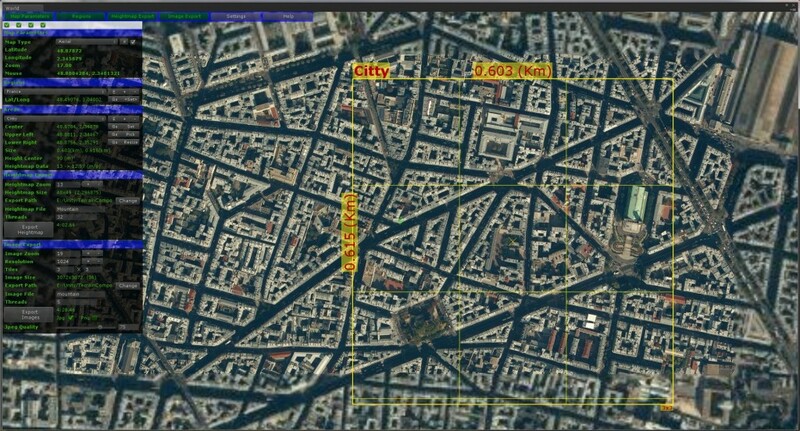 The quick examples made in the video uses satellite images with zoom 18, each zoom is 2x more detail, so x2 times more detail is possible when zoomed to 19. The screenshots down below use a zoom level of 18 same as from the video. You can also do very large areas with a smaller zoom level, anything is possible. WorldComposer multi-resolution terrain tutorial, how to create huge terrains like in this tutorial that is 922 x 922 km and have a very detailed center. This is the same terrain as in the WorldComposer showcase video. WorldComposer shadow removal tutorial video. Works with Unity Pro and Free, also on Mac. Supports 4.x and 5 beta. Embedded map with scroll interface like Google maps, to easily preview and select the area’s you want to export. Satellite images resolution of max 0.25 meter per pixel. Jpg, png and raw format supported. 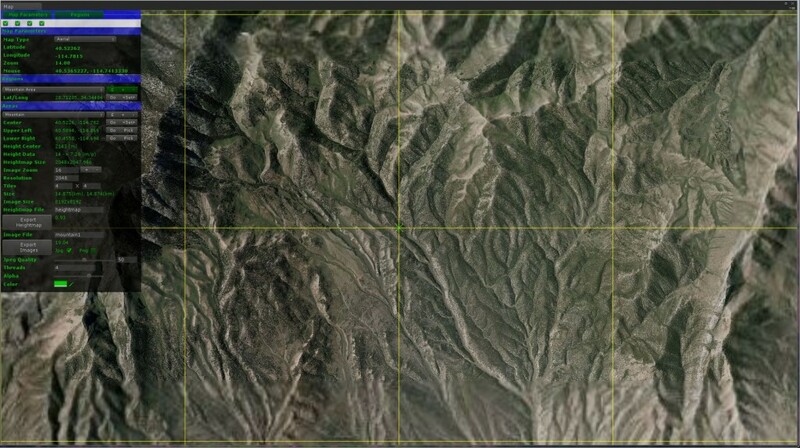 Multi resolution terrain, export multiple area’s with different resolutions to create huge view distances, like 1000 x 1000 km. Combine exporter area raw images into 1 big raw image. Image editor with new ‘content aware’ fill algorithm for shadow and snow removal. The shadow removal is streamed so you can do any size of raw image, even 65k and up. Elevation Heightmaps resolution of max 10 meter per pixel. Create terrains directly from exported areas with a click of a button. 3 different map types, Aerial, Aerial with labels and roads. Convert ArcInfo ASCII heightmaps to 16 bit raw grey scale heightmaps. Create unlimited regions and areas and export any heightmap size or amount of image tiles. Export multiple areas with using a queue. Heightmap resolution and image resolution can be selected. Continue working in Unity Editor while WorldComposer is exporting area’s. Content aware shadow removal feature, this is improving the satellite image quality to a whole new level!